I really don’t often make political comments here, nor do I think commenting on another country’s political leader is what I should do. However, this past week has put me in the position where I think I want to, need to, make some comment. I’ve watched the political landscape of the USA for the past couple of years making some comment to my sister who lives in Florida, and felt that it was akin to watching a train wreck as it happened. It was as if you could see two trains on the same track gaining speed as they hurtled down the track towards each other fully aware that the only likely outcome was death, destruction, and mayhem. This has it seems to me to have been the Republican and Democratic parties. The winner, and it’s hard to use that word in this situation was Donald J. Trump. The Trump name, of course, has been well known but not always for things that are less than honourable, and his grandfather who really gave the family their means did so with booze and brothels in Canada’s north. We are now past 200 days or almost 2/3 of the first year under his belt and we have an increasingly divided neighbour. He has managed to encourage white supremists, frightened so many people that now hundreds flood north across our border everyday, and placed the USA in a position of conflict with many nations. The President is mocked by other world leaders and if that wasn’t enough, he has managed to leave almost 4000 positions unfilled in the government support personnel that really do get the work done every day. I think the thing which frightens me most is his inability to unite and his posture of conflict and division. I don’t know of another leader that thinks that this is a good trait and one that should be maintained. If the country continues down this road you can expect more civil unrest, more injury and death, more political gridlock and more instability. This is a recipe for disaster in the broadest of terms. So what’s our response – perhaps I might say, what’s my response. First of all I think I need to pray for this country, and for the leaders around him. Secondly, I need to be onguard for similar strains of division drifting across the border. Thirdly, where I see division I need to lovingly speak out against it. Fourth, I need to examine the people who run for political office here and examine closely their personal positions as well as their party’s position. Maybe you have an idea too – if you do feel free to leave a comment. Thanks – and be kind to other people today. I’ve been watching, like you, the early days of the Liberal government in Canada. I wasn’t a Harper hater, like those I saw wearing Stop Harper badges, but I was concerned about the lack of transparency and the unwillingness to respond to media questions. The attraction for me to the PCs was the strength of their cabinet. But as those men and women saw defeat looming, they were headed out to do something else. I am not as confident with the Liberal cabinet – time will tell. I see Hunter Tootoo – was the minister of education (with the social services portfolio) in Iqaluit, so I worked with him…not the most positive experience. But I did like the symbolism of Trudeau taking his cabinet members on a bus and then walking on to the grounds of Rideau Hall together – very smart way to demonstrate being a team. Let’s see if that’s how it works out. The declaration of taking 25000 Syrian refugees in by year end is probably impossible to process both at the front line and to settle into communities. After meeting with Chris Alexander the previous minister of citizenship and immigration, it will be interesting to see how this next chapter unfolds. I’m sure in a few years we’ll be voting them out too…because that’s what we do. More than once or twice while I was in Edmonton people on the street thought that I was the mayor of Edmonton and there is some likeness between us. Stephen Mandel was elected three times to be mayor and we did work together on a few projects that were obviously orientated to The Salvation Army. Stephen did attend a number of our events and was extremely encouraging to us. The last election Mr. Mandel did not run for office but rather took a step out of public service. 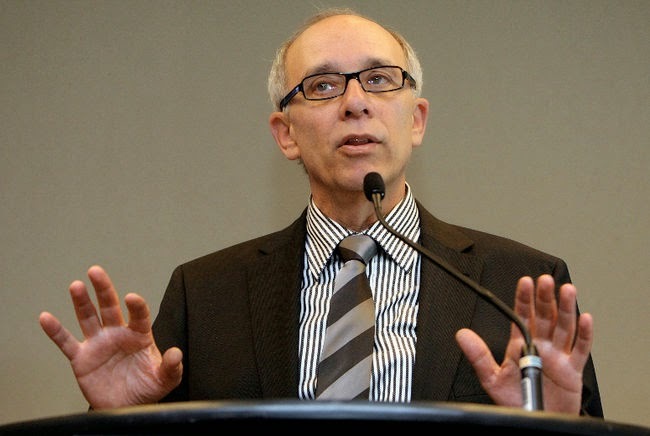 The Premier of Alberta has now announced that Mr. Mandel will be the new health minister, even though he does not sit in the provincial legislature. So a by-election will be held so that he can run for office! So here’s a recent picture of Mr. Mandel – Stephen to his friends! Do you think he looks remotely like me?